It seems like I've been writing tirelessly about Atlus' upcoming Persona 4: Dancing All Night despite the fact that I'll have to wait until the release date to give it a try, but this is an exciting turn of events. 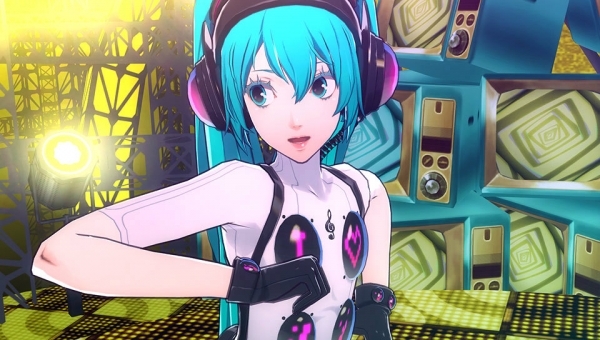 Hatsune Miku will be featured in the game, as well as "Heaven feat. Hatsune Miku (ATOLS Remix)" to play within the game. 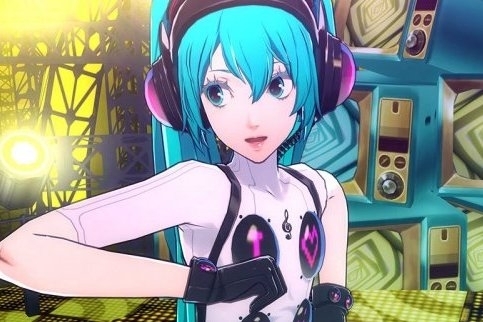 Miku herself has been given an interesting Persona remake as well, and she joins a cast of basically every Persona character ever. There's nothing else to say at this point. Go ahead and release the game, Atlus! I'll purchase it and review it, and all will be right with the world.